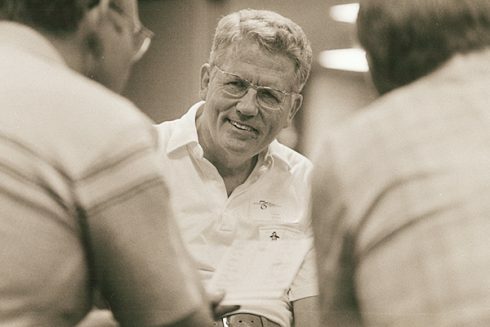 Former longtime ACU trustee and respected church leadership consultant Wilson Clark “Dub” Orr (’50) died June 9, 2017, in Tulsa, Oklahoma, at age 89. Visitation is 5-7 p.m. Thursday, June 22, at Abilene’s Piersall Funeral Directors (733 Butternut, Abilene, Texas 79602). A memorial service will be held at 11 a.m. June 23, at Highland Church of Christ (425 Highland Ave., Abilene, Texas 79605). A private family graveside service at Elmwood Memorial Park will occur earlier that day. Orr was born Dec. 14, 1927, in Vernon, Texas, where he graduated from high school in 1946. He spoke fondly of his childhood during the Dust Bowl years with his brothers Graham, Forrest, and Rob and the challenges and rewards of growing up on a farm during that period surrounded by the support of his tight-knit family and church life. The four Orr brothers attended ACU and played center on the Wildcat football team. After serving 18 months in the U.S. Army occupation forces in Japan, Orr earned a bachelor’s degree in accounting from ACU in 1950, followed by an MBA from The University of Texas at Austin. He met Polly Chenault in Austin while doing graduate work, and they married Dec. 29, 1952. He was briefly a teacher and football coach in Midland, Texas, then worked for Dow Chemical Co. before joining McWood Company in Abilene (secretary and treasurer, 1955-67) and later, teaming with Ray McGlothlin Jr. (’49) and G. Randy Nicholson (’59) in launching E-Z Serve Inc. He was vice president and secretary of the company from 1971 until its sale to Harken Oil in 1986. Orr was a Bible school teacher and founding elder of Abilene’s South 11th and Willis Church of Christ for more than 25 years, and a spiritual counselor for people from all walks of life. 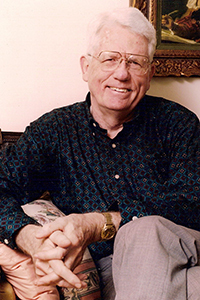 He and Bible professor emeritus Dr. Paul Faulkner (’52) taught many weekend spiritual retreats for Christians. For more than 15 years, Orr and fellow elder Dr. Ian Fair (’68), professor and dean emeritus of ACU’s College of Biblical Studies, also traveled the world to teach seminars for church congregations needing help with conflict resolution and leadership development. He served as a member of the ACU Board of Trustees from 1970-98, including nine years (1975-84) as board secretary. 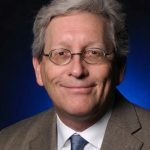 He received ACU’s Distinguished Alumni Citation in 1980, its Outstanding Alumnus of the Year award for 1995, and together with McGlothlin and Nicholson, named the College of Business Administration’s 1996 Distinguished Business Leaders of the Year. After Polly’s death in 2001, he married Margaret Paas of Basalt, Colorado, in 2004. He was preceded in death by his parents, William Clyde Orr and Clarice Roberts Orr; Polly, his first wife of 49 years; brothers Graham Orr (’40), Forrest Orr (’38) and Boyd Orr; and a sister, Edith Orr. Among survivors are Margaret, his second wife of 12 years; his four children, Linda Orr (’78), Lee Orr (’80), Scott Orr (’84) and Stephen Orr (’87); Margaret’s two children, Susan Romero and Dale Paas; six grandchildren; four grandchildren-in-law; four great-grandchildren; and a brother, Rob Orr (’52).